For sponsorship opportunities please download the form HERE. For more information on becoming a sponsor please call Paul Stephen at 913-4456. 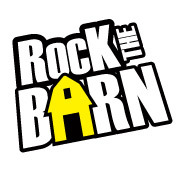 For other questions please email us at info@rockthebarn.com. 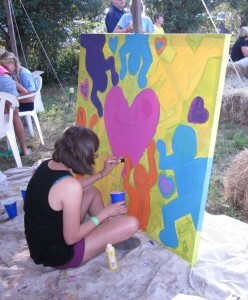 Location: The Big Yellow Barn, home to Rock The Barn 2017, is located at 9015 Main Street in Clarence between Shimerville Road and Sheridan Drive. Scroll down for a map and directions. or sun umbrellas (if raining, umbrellas are allowed). Sorry, but due to insurance requirements, NO OVERNIGHT CAMPING is allowed. No guns, fireworks, drugs or alcohol. (Alcoholic beverages are available in the beer tent to those with proper ID). The kids tent will be open both days. Friday and Saturday 4-9pm. We will once again offer games & activities and remember – children under 10 are admitted free! Chairs, blankets, bug spray, appetite and money for tickets to buy food & beverages. 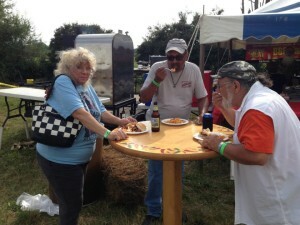 Over the years, Rock The Barn’s Festival Food has made nearly as many fond memories as have the entertainers who have graced our stage. This year’s offering is our strongest ever. Be sure to bring your appetite because you won’t want to miss out on all your favorite festival foods. Take a minute to check out our online food vendor info and make a plan for a dinner that the whole family is sure to love. Advance tickets for the 2-day festival are still just $20 and one ticket provides admission for both days. Tickets at the gate are $25, with children under 10 admitted free. Advance tickets will be available at all Dash’s Market locations, at the offices of Rock Oak of Clarence. From Buffalo: Take Main Street (Rt. 5) east. Location is on your right. From Niagara Falls. Take 190 South to 290 East to 90 East. Exit at Transit Road (Rt. 78). Head North to Main Street (Rt. 5) and turn right (East) to 9015 Main. Location is on your right. From Rochester: Take 90 West. Take Exit 48A Pembroke – Medina. Turn right onto Allegany Road (NY 77) and proceed southbound .7 miles to Main Road. Turn right onto Main Road (Rt. 5) and head westbound approximately 13 miles to 9015 Main Street. Location is on your left. From Jamestown: Take 60 North to 90 East. Exit at Transit Road (Rt. 78). Head North to Main Street (Rt. 5) and turn right (East) to 9015 Main. Location is on your right.